The Elder Scrolls Online features three rivalling factions or alliances that clash in battle in the region of Cyrodiil. The times are politically unstable, and in The Alliance War each alliance aims to rule Cyrodiil, the Imperial City and thus the Ruby Throne of Tamriel. Whilst the factions are at war against each other, they do share a common goal, and that is banishing Molag Bal and his forces from Tamriel. In Elder Scrolls Online the alliances may share common interests, but they are also geographical alliances. Ebonheart Pact consists of Nords, Dark Elves and Argonians, all of whom habit the Northern and Eastern parts of Tamriel. Aldmeri Dominion has High Elves, Wood Elves and Khajiit under the same banner in the South-Western Tamriel. Bretons, Orcs and Redguards of Daggerfall Covenant populate the Western and North-Western parts of Tamriel. Whilst the races are faction or alliance specific in Elder Scrolls Online, there are two exceptions to this. First of all, those who pre-order the game receive a digital item called Explorer’s Pack, which among other things contains the ability to play any race in any alliance. 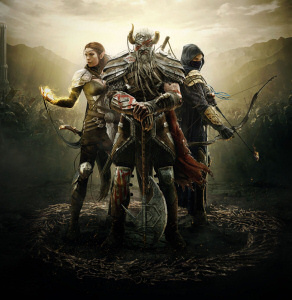 This is supposed to be a perk of pre-ordering ESO, but it is uncertain whether those who did not pre-order will be able to play any race in any alliance at some point, through other means. It seems very clear that at launch this will be a pre-order perk only, though. The second exception are the Imperials. Imperials are not a faction in Elder Scrolls Online, but players are able to play as an Imperial if they either purchase or upgrade to the Imperial Edition. It is a collector’s edition which among other things gives an imperial mount, an imperial armor set costume to wear and obviously the ability to play as an Imperial. Imperials can choose their own faction. The Imperial City’s High Chancellor Abnur Tharn is working together with the necromancer Mannimarco, trying to combine Tamriel and Nirn with Coldharbour, the Daedric Realm of Molag Bal. I’d say it’s a fair deal giving the Imperials the option to choose their own faction if you keep this setting in mind. Think of Imperials in Elder Scrolls Online as refugees seeking sanctuary, or people who oppose Abnur Tharn and want to make a difference in another alliance, aiming to end Abnur Tharn’s madness.